Located on the junction between Broughton & Canonmills, this cool neighbourhood venue is popular with locals, office workers, families and dog walkers alike. Craft beers, guest ales and extensive wine list. Burgh Bakes Homemade Gourmet Marshmallows. 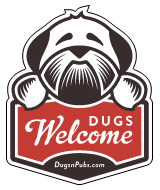 There are a total of 9 dog friendly listings in the Canonmills category. Please log in, or sign up as a member to view all listings.